Tim Friese-Greene explains the song: "I had a drum pattern loosely inspired by Kate Bush's 'Running Up That Hill' and Mark was playing 'Green Onions' organ over the top." Remembering Talk Talk founding member Mark Hollis, who passed away earlier this week. Hollis wrote or co-wrote most of Talk Talk's music, including hits like "It's My Life" and "Life's What You Make It". Recordando a Mark Hollis, miembro fundador de Talk Talk, quien falleció a principios de esta semana. Hollis escribió o coescribió la mayor parte de la música de Talk Talk, incluidos éxitos como "It's My Life" y "Life's What You Make It". 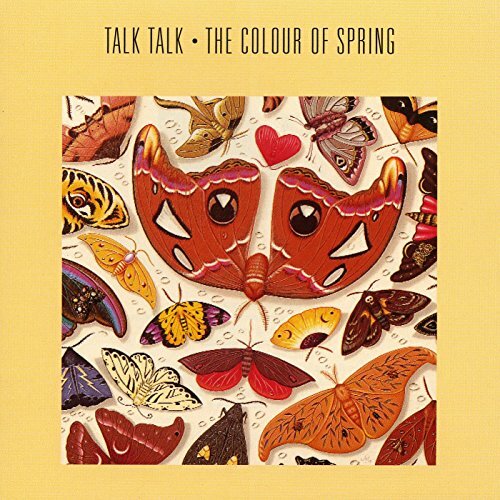 This song was one of the last to be conceived for The Colour of Spring, following concern from the band's management at the lack of an obvious single among accumulated work. Initially unwilling, Mark Hollis and Tim Friese-Greene accepted the task as a challenge. Friese-Greene: "I had a drum pattern loosely inspired by Kate Bush's 'Running Up That Hill' and Mark was playing 'Green Onions' organ over the top." According to a 2008 article in The Guardian, singer Mark Hollis retired from music, saying, "I choose for my family. Maybe others are capable of doing it, but I can't go on tour and be a good dad at the same time."